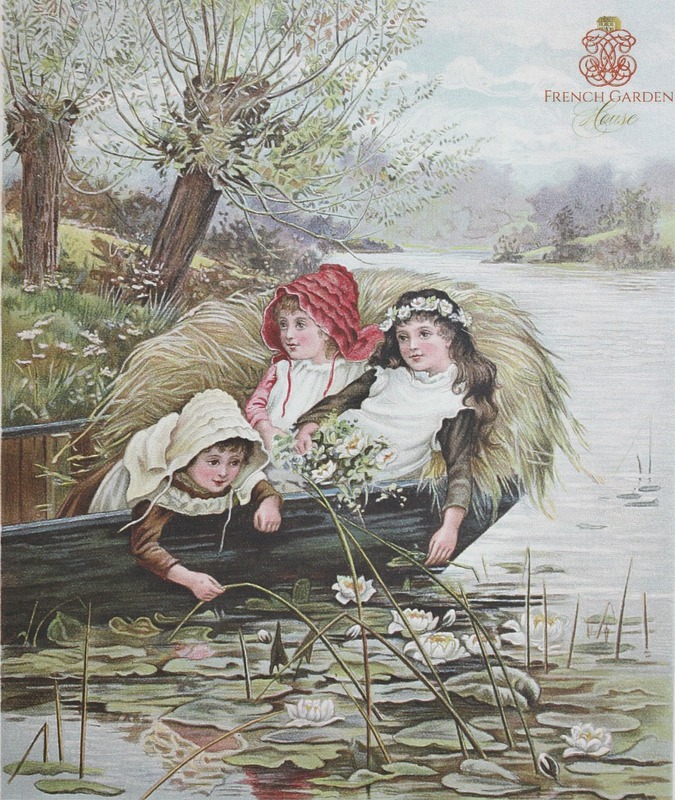 Decorative Chromolithograph features three sweet children in a boat on the water, looking at waterlilies, dressed in their Victorian clothes. Early twentieth century high quality lithograph; archival fascimile. This is an enlarged art print, printed in Holland quite some time ago, from Gerhardt H. Felgemaker, Printseller. 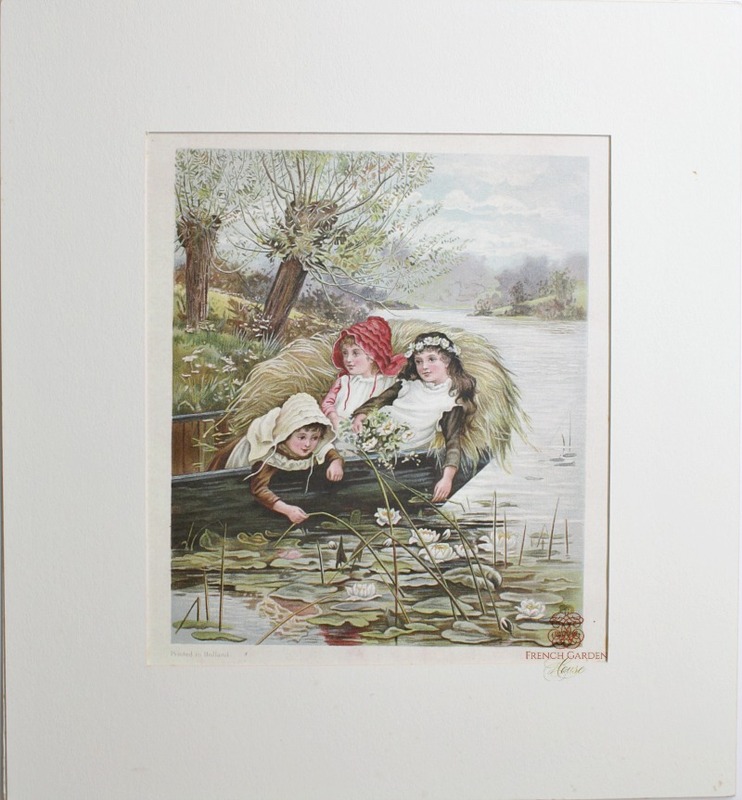 Display this as is, or fit in an antique frame to add to your vignettes with Victorian children's books and toys. 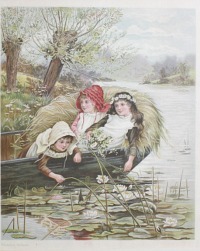 The print is old store stock, the cream mat has a few darkening spots here and there.